Whether Missouri should’ve known in April that it was hiring a basketball coach who would four months later be publicly accused of a serious NCAA violation is debatable and mostly unimportant. What’s done is done. Life has no rewind button. So when former Miami booster Nevin Shapiro alleged to Yahoo Sports in a story published last week that Frank Haith was aware of a $10,000 cash payment to a recruit while he coached the Hurricanes, there was no way for Missouri officials to undo a hire that for some always seemed questionable. They could only try to handle the awkward situation wisely from that point forward, and wouldn’t you know it, they screwed it up. With those 14 words, Deaton paralyzed Haith — just left his coach swirling in unknown winds and gave every program recruiting against the Tigers the ability to cast serious doubt on Haith’s future. It might’ve been an honest statement, but it was a stupid one. 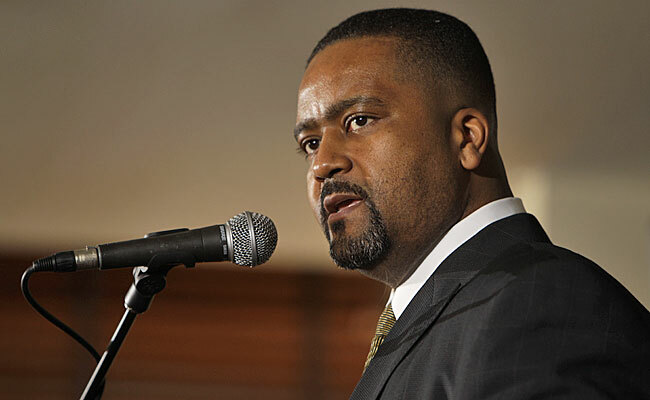 Missouri needed to either start negotiating a buyout with Haith based on the serious nature of the allegation or publicly back him against “the word of a criminal” regardless of whether his job is really in jeopardy behind the scenes. Either option would’ve made sense on some level. But it makes no sense for Missouri to keep Haith while acknowledging it’s waiting on the results of the NCAA’s investigation into Miami, because investigations take a long time and the wait could destroy one recruiting class and possibly more.